Posted on December 31, 2016 December 31, 2016 Author KibetCategories Free Travel Kindle Books, memoir, TravelersLeave a comment on Kindle Travel Deals for Friday! Posted on December 30, 2016 Author KibetCategories Biographies, Free Travel Kindle Books, memoir, TravelersLeave a comment on Kindle Travel Deals for Thursday! *Peru: the Beautiful, the Mystical and the Ugly (Deal, Not Free) by H of the Day, Sponsor, Travelers & Explorers. Rated: 5 stars on 1 Reviews. 121 pages. ASIN: B01LZFQMQI. **(Free For Kindle Unlimited) Travel As Transformation: Conquer the Limits of Culture to Discover Your Own Identity (Deal, Not Free) by Gregory Diehl, David J. Wright. Price: $2.99. Genre: Sponsor, Travel as Transformation, Seminal Travel Bestseller, Travel, Nonfiction, Transformation. Rated: 4.7 stars on 57 Reviews. 129 pages. ASIN: B01M03V3BU. Sri Lanka: Sri Lanka Travel Guide: 101 Coolest Things to Do in Sri Lanka (Sri Lanka Travel, Colombo, Galle, Sri Lanka Holidays, Sri Lanka Safari) by 101 Coolest Things. Price: Free. Genre: Travel, Asia, General. Rated: 5 stars on 5 Reviews. 40 pages. ASIN: B01NCN478V. Posted on December 29, 2016 Author KibetCategories Biographies, Free Travel Kindle Books, memoir, TravelersLeave a comment on Kindle Travel Deals for Wednesday! *Peru: the Beautiful, the Mystical and the Ugly (Deal, Not Free) by Halle McQueen. Price: $3.99. Genre: Sponsor, Travelers & Explorers. Rated: 5 stars on 1 Reviews. 121 pages. ASIN: B01LZFQMQI. Posted on December 28, 2016 Author KibetCategories Biographies, Free Travel Kindle Books, history, memoir, TravelersLeave a comment on Kindle Travel Deals for Tuesday! *Peru: the Beautiful, the Mystical and the Ugly (Deal, Not Free) by Halle McQueen. Price: $3.99. Genre: Nonfiction Book Deal , Sponsor, Travelers & Explorers. Rated: 5 stars on 1 Reviews. 121 pages. ASIN: B01LZFQMQI. 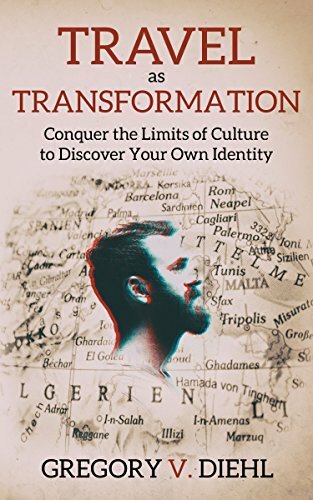 **(Free For Kindle Unlimited) Travel As Transformation: Conquer the Limits of Culture to Discover Your Own Identity (Deal, Not Free) by Gregory Diehl, David J. Wright. Price: $2.99. Genre: Nonfiction Book Deal, Sponsor, Travel as Transformation, Seminal Travel Bestseller, Travel, Transformation. Rated: 4.7 stars on 57 Reviews. 129 pages. ASIN: B01M03V3BU. Posted on December 27, 2016 Author KibetCategories Free Travel Kindle Books, memoir, TravelersLeave a comment on Kindle Travel Deals for Monday! **(Free For Kindle Unlimited) Travel As Transformation: Conquer the Limits of Culture to Discover Your Own Identity (Deal, Not Free) by Gregory Diehl, David J. Wright. Price: $2.99. Genre: Sponsor, Travel as Transformation, Seminal Travel Bestseller, Non Fiction, Travel, Transformation. Rated: 4.7 stars on 56 Reviews. 129 pages. ASIN: B01M03V3BU. *Peru: the Beautiful, the Mystical and the Ugly (Deal, Not Free) by Halle McQueen. Price: $3.99. Genre: Travel Memoirs Book Deal, Sponsor, Travelers & Explorers, Teen & Young Adult. Rated: 5 stars on 1 Reviews. 121 pages. ASIN: B01LZFQMQI. *Off-road in Eastern Morocco – Cycling the Moroccan Sahara: A real adventure along the Algerian border by Simon Rudolph. Price: Free. Genre: Travel, Africa, Algeria. Rated: 4.8 stars on 10 Reviews. 66 Pages. ASIN: B01M7V85OT. Posted on December 25, 2016 Author KibetCategories Free Travel Kindle Books, TravelersLeave a comment on Kindle Travel Deals for Saturday! 5 Fantastic Free Kindle Travel Books for Friday! A remarkable guide into a meaningful traveling! *Kids’ Travel Guide – Thailand: The fun way to discover Thailand – especially for kids (Kids’ Travel Guide Series Book 30) by Sarah-Jane Williams. Price: Free. Genre: Travel, Asia, General. Rated: 5 stars on 9 Reviews. ASIN: B01N5HEGIT. Eric’s Big Book of Travel Hacks (Life Hacks 3) by Eric Duck. Price: Free. Genre: Travel, Reference, General. Rated: 4.7 stars on 6 Reviews. 139 Pages. ASIN: B01HX7YE2M. Hindi in a Week! Learn Hindi in a Week! Start Speaking Basic Hindi in Less Than 24 Hour: The Ultimate Mini Crash Course For Beginners (Learn Hindi, Hindi Language, Hindi Learn) by Project Fluency. Price: Free. Genre: Computers & Technology, Programming, Introductory & Beginning, Travel, Asia, India, General. Rated: 4.3 stars on 7 Reviews. 116 Pages. ASIN: B01MY0C8GI. How to Travel For Free: A 36 months travel venture through 5 continents: How I traveled for several months without spending any money at all by Simon Rudolph. Price: Free. Genre: Travel, Specialty Travel, Budget Travel. Rated: 4 stars on 8 Reviews. 38 Pages. ASIN: B01LTGUZC6. Posted on December 24, 2016 Author KibetCategories Budget, Free Travel Kindle Books, TravelersLeave a comment on 5 Fantastic Free Kindle Travel Books for Friday! *Peru: the Beautiful, the Mystical and the Ugly (Deal, Not Free) by Halle McQueen. Price: $3.99. Genre: Biographies & Memoirs Deal, Sponsor, Travel Memoirs, Women’s Memoirs, Non Fiction. Rated: 5 stars on 1 Reviews. 121 pages. ASIN: B01LZFQMQI. **(Free For Kindle Unlimited) Travel As Transformation: Conquer the Limits of Culture to Discover Your Own Identity (Deal, Not Free) by Gregory Diehl, David J. Wright. Price: $2.99. Genre: Sponsor, Travel as Transformation, Seminal Travel Bestseller, Non Fiction, Travel, Transformation. Rated: 4.7 stars on 56 Reviews. 129 pages. *The 7.52 to London Bridge: A commuter’s tales of adventure and misadventure by Julian Kirkman-Page. Price: Free. Genre: Travel, Europe, Great Britain, England, London. Rated: 5 stars on 4 Reviews. 293 Pages. ASIN: B00HWVR7G0. Posted on December 23, 2016 Author KibetCategories Free Travel Kindle Books, memoirLeave a comment on Kindle Travel Deals for Thursday! **(Free For Kindle Unlimited) Travel As Transformation: Conquer the Limits of Culture to Discover Your Own Identity (Deal, Not Free) by Gregory Diehl, David J. Wright. Price: $3.99. Genre: Nonfiction Book Deal, Sponsor, Travel as Transformation, Seminal Travel Bestseller, Travel, Transformation. Rated: 4.7 stars on 54 Reviews. 129 pages. ASIN: B01M03V3BU. 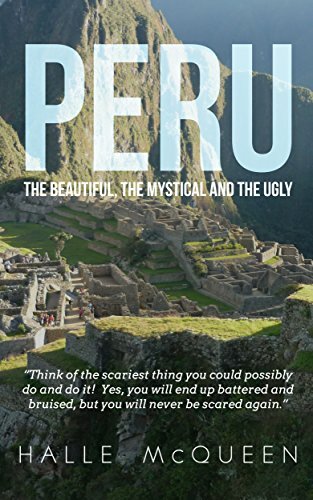 *Peru: the Beautiful, the Mystical and the Ugly (Deal, Not Free) by Halle McQueen. Price: $3.99. Genre: Sponsor, Travel Memoirs, Women’s Memoirs, Non Fiction. Rated: 5 stars on 1 Reviews. 121 pages. ASIN: B01LZFQMQI. *Kili Me Softly: How & Why You Should Climb Mt Kilimanjaro (Travel In Her Shoes Book 1) by Aggie Lal. Price: Free. Genre: Biographies & Memoirs, Travelers & Explorers. Rated: 5 stars on 7 Reviews. 119 Pages. ASIN: B01MZ0PPZJ. *Eurisko Sails West: A Year in Panama by Connie McBride. Price: Free. Genre: Travel, Central America, General. Rated: 4.5 stars on 15 Reviews. 210 Pages. ASIN: B0076ON58W. Posted on December 22, 2016 Author KibetCategories Biographies, Free Travel Kindle Books, memoir, TravelersLeave a comment on Kindle Travel Deals for Wednesday! *Puppy Training: The full guide to house breaking your puppy with crate training, potty training, puppy games & beyond (puppy house breaking, puppy housetraining, … dog tricks, obedience training, puppie) by Jade Backer . Price: Free. Genre: Travel, Specialty Travel, Travel with Pets. Rated: 4.5 stars on 46 Reviews. 57 Pages. ASIN: B01DTLXM2O. Thailand Survival Phrases: Thai for first time travelers by Leo L . Price: Free. Genre: Travel, Asia, Southeast. Rated: 4.8 stars on 5 Reviews. ASIN: B01N09T06Z. Aloha Wanderwell “Call to Adventure” by Aloha Baker, Alan Boyd, Tracy Landecker. Price: Free. Genre: Biographies & Memoirs, Travelers & Explorers. Rated: 4.3 stars on 6 Reviews. ASIN: B00CCTUGXI. Posted on December 21, 2016 Author KibetCategories Biographies, Free Travel Kindle Books, memoir, TravelersLeave a comment on Kindle Travel Deals for Tuesday!